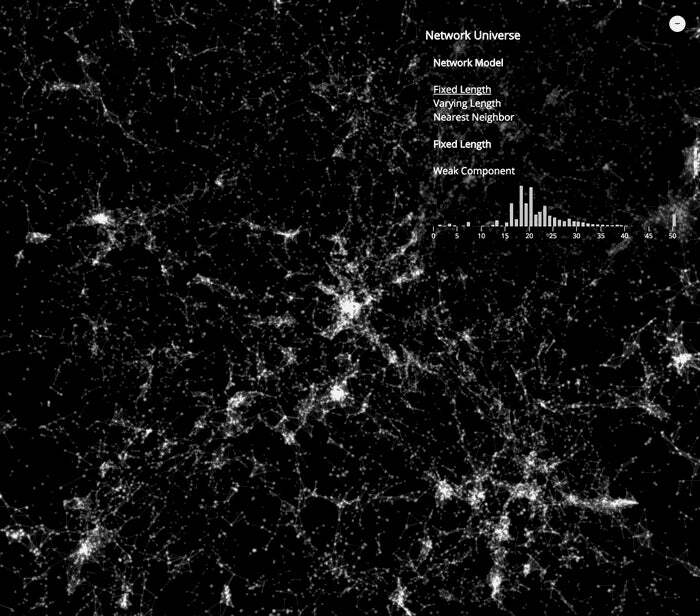 On the grandest scale, our universe is a network of galaxies tied together by the force of gravity. 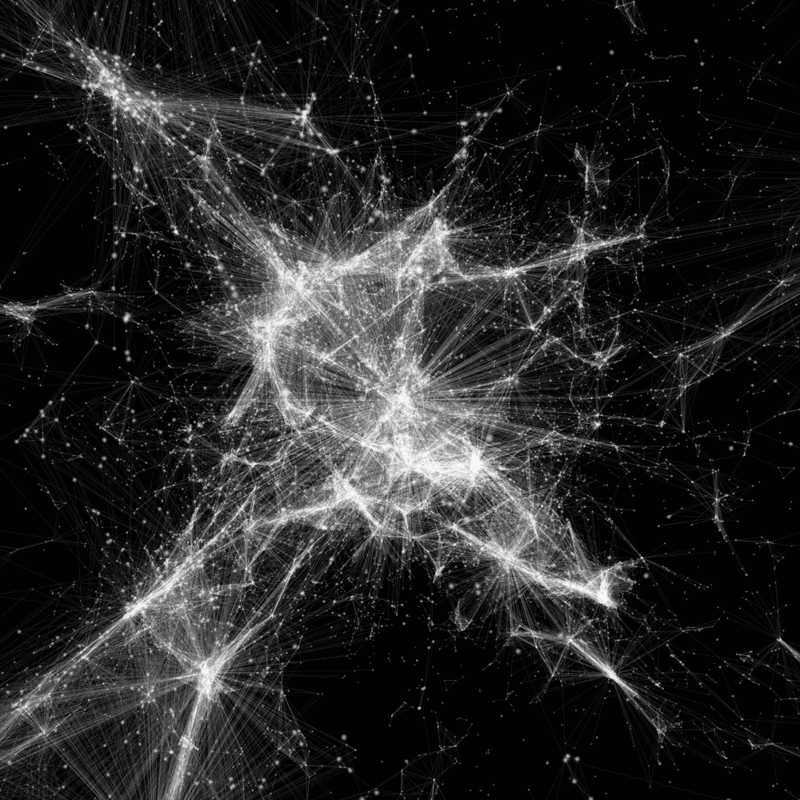 Cosmic Web, a new effort led by cosmologists and designers at Northeastern's Center for Complex Network Research, offers a roadmap toward understanding how all of those tremendous clusters of stars connect — and the visualisations are stunning. 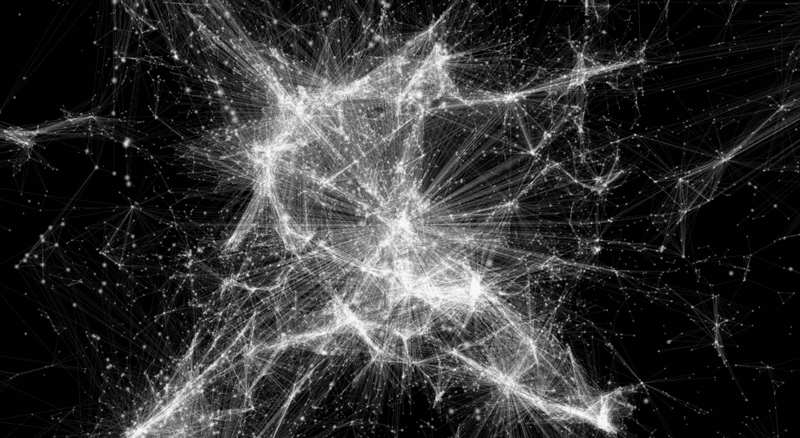 The images below show us several hypothetical architectures for our universe, built from data on 24,000 galaxies. 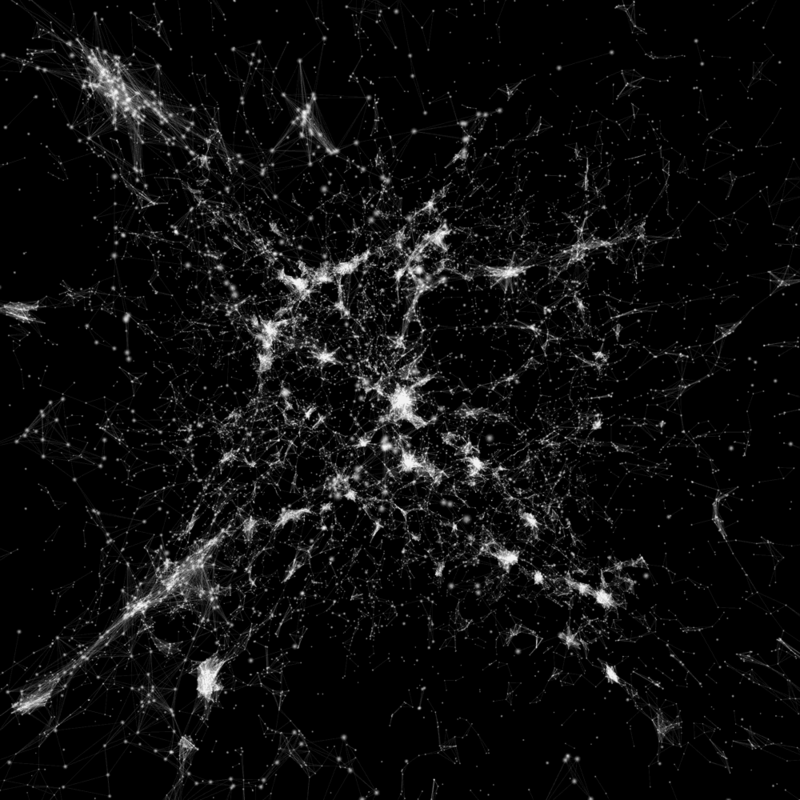 By varying the construction algorithm, the researchers have designed cosmic webs that link up in a number of different ways; based on the size, proximity and relative velocities of individual galaxies. I call it God View. 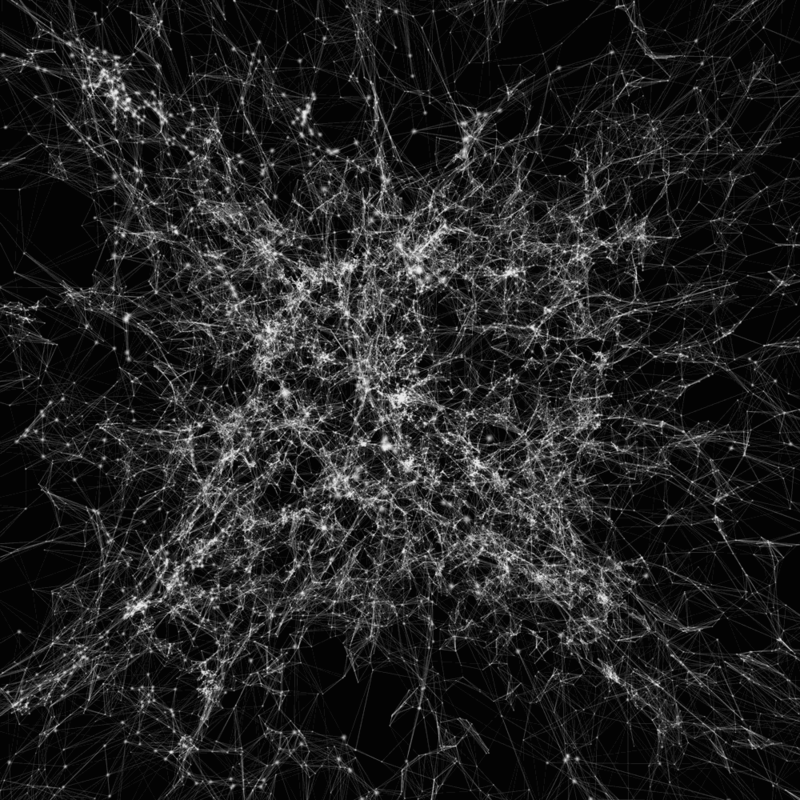 "Before, the cosmic web was more like a metaphor," Kim Albrecht, the designer behind the new visualisations told Gizmodo. 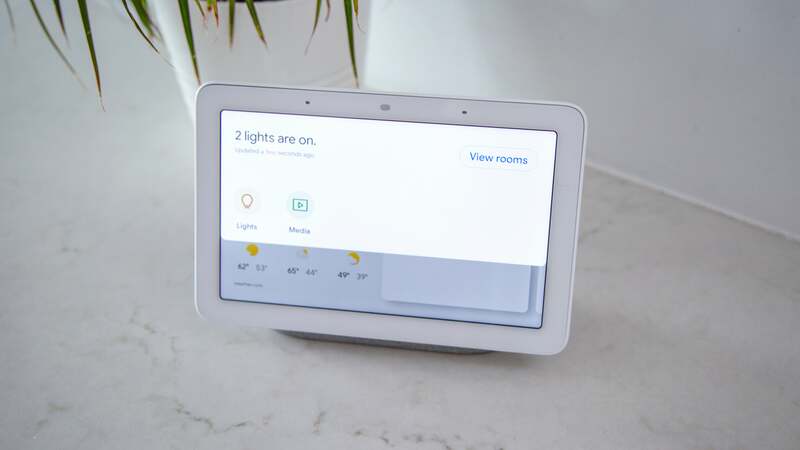 "This is the first time somebody has made these calculations and thought about it as an actual network." The mathematical tools the researchers have developed will not only shed light on the large-scale structure of cosmos, they could help us answer fundamental questions about the birth and evolution of the universe. But if the science sounds a little out-of-this-world, don't worry. You don't need a physics PhD to appreciate the beauty of it.